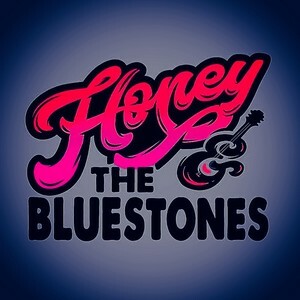 Honey & The Bluestones play a mix of classics and party songs, spanning decades of the best music, covering R&B – SOUL – FUNK – BLUES and ROCKABILLY. The Central Coast band are a four piece outfit who proclaim it is all about the GROOVE. Listeners hips, heads and feet will be a movin’ and a shakin’. From soft and sultry, to downright swampy and dirgy – it’ll all be too cool for school, you’ll see! AND all with their very own twist of honey n lemon. Amy Winehouse, Etta James, Aretha Franklin, Al Green, Roxy Music, Stevie Wonder, Imelda May, Wild Cherry, The Black Sorrows, Cee Lo Green, Prince, Marvin Gaye, D-Lite, The Temptations, Chaka Khan, James Brown, Creedence Clearwater Revival, Michael Jackson, Solomon Burke, Joe Cocker, Canned Heat, Robert Palmer, Dr John, Tina Turner, The Neville Bros, Ray Charles, Talking Heads, Wilson Pickett, The Rolling Stones, The Spinners, John Mayer, The Bee Gees, Sam & Dave, Sade, Bobby Blue Bland, Anne Peebles and many more….. Please complete the information below and we will get back to you shortly with artist availability and costs. Any further information or special requests?